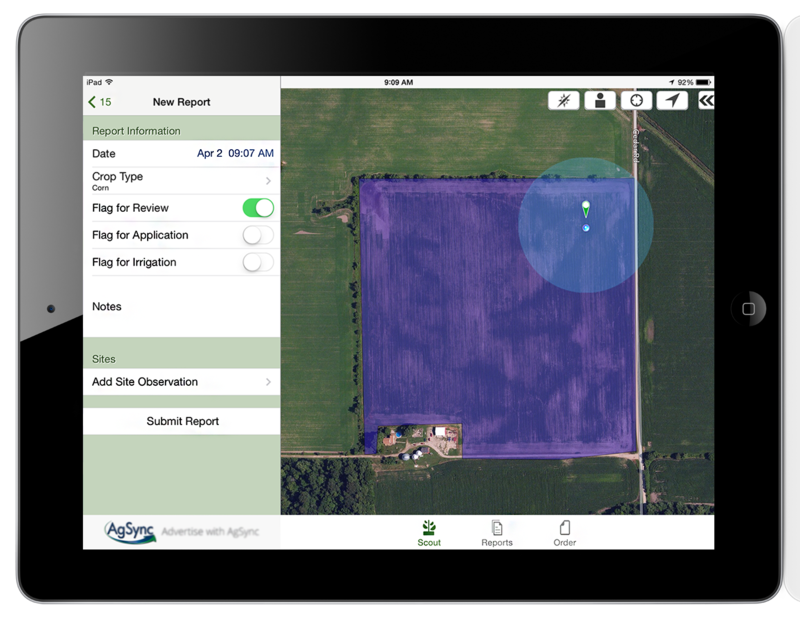 AgriSite’s mobile app allows crop scouts to navigate to fields, log geo-referenced site observations, record crop information, and capture pictures. After completing scouting observations, reports are electronically submitted to the AgriSite IPM webapp for agronomist review. AgriSite is an essential tool for agronomy management. AgriSite IPM’s web application organizes reports for agronomists review. Recommendations can be selected from predefined templates. After review, reports are approved for producers access via mobile device or any web browser to review and/or print field scouting reports. If a product application is recommended, work orders can be easily created and sent to AgSync logistics for dispatch. Customer list with field locations. Wireless report synchronized across IOS devices. Review reports from multiple scouts at once. Create online crop protection recommendations. AgriSite Order powered by AgSync allows users to create customer, farms and fields, generate orders, add and edit products and release orders for application. It is the perfect tool for any AgSync user to get the work done from anywhere. No need to leave the field to create an order. Create blends on orders with blend module. AgriSite Worker Protection allows account owners and applicators to know when people enter the field. Users can send location to the office or the app will automatically update when a user enters the field and update when the user leaves the field. AgriSite Worker Protection gives you peace of mind that you will know when workers are in the field. Automatically alerts when user enters field. User control to add workers without entering field. Field highlight when worker present. Create user in field notifications. Assign start and stop times for presence in field. Plan ahead for workers in field. AgriSite's Blend module gives you the ability to create and edit blends on orders.